In a very involving and colorful activity, students attempt to layer liquids in a straw, leading them to explore the concept of density. 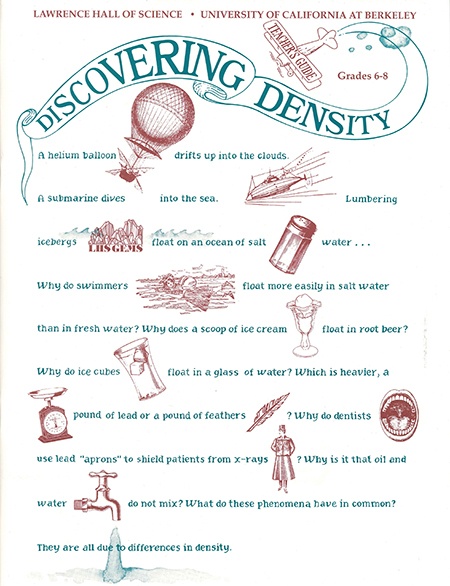 The teacher introduces the mathematical equation for determining density. Students have fun creating secret formula sheets, while reinforcing their practical understanding of this important concept in the physical sciences. Why does a scoop of ice cream float in root beer? 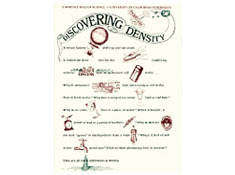 A number of such Puzzling Scenarios encourage students to explore real-life connections to density.